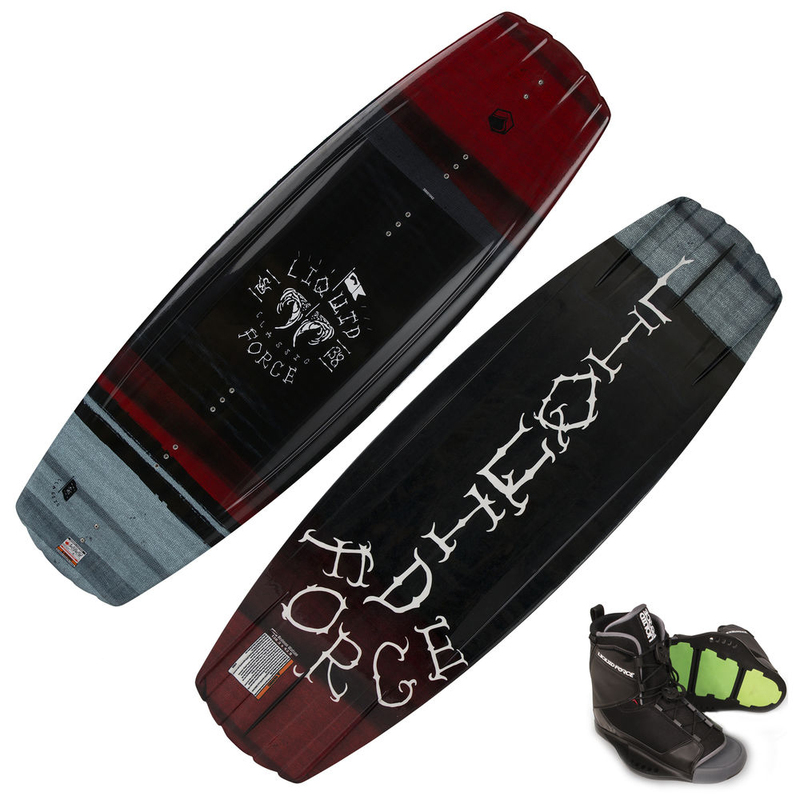 The Classic wakeboard is the board with a timeless shape that every pro on the Liquid Force team has ridden. The mellow 3-stage rocker helps you go big off the wake, while the spiral V mid-section displaces the water for soft landings. The lifted variable edge and quad-vented channels at the tip gives you optimal response and control. Ride with the center fin for extra control and bite, or remove it for a fun, playful feel. Built and designed for fun on the water, this board has a performance feel, yet is forgiving off the wake for learning new tricks and taking your ability to the next level. Removable center fin. Pro Glass Layup: Layup includes unique combinations of special fiberglass weaves to give you the ultimate performance and response on and off the wake. This custom blend of materials increases the board's strength, improves rebound, and reduces weight. Three-Stage Rocker: Flatter center curve for speed and rail control. This transitions to an exaggerated exit angle through the tip to give a bucking pop off the wake. Molded-In Fins: Crisp, molded-in fins allow effortless carving and then allow the board to release with ease. Lifted Variable Edge Rail: Variable features include a rounded center rail for a forgiving feel and a sharp tail rail for edge control and response. Quad-Vented Channels: This feature in the tips generates speed and hold at the same time, ultimately giving you better response and control while riding. PU Core: This core is compression-molded to the highest standards and has been the lightweight, durable go-to core construction for years. Transit Bindings: Take your riding to the next level with a pair of Transit Wakeboard Bindings. The Transit is the perfect boot to transition from an entry or mid-level weekend warrior to the dedicated "core" rider. The Transit's Cuff Stretch Zone has been upgraded to injection-molded TPU, allowing the upper to wrap even better. 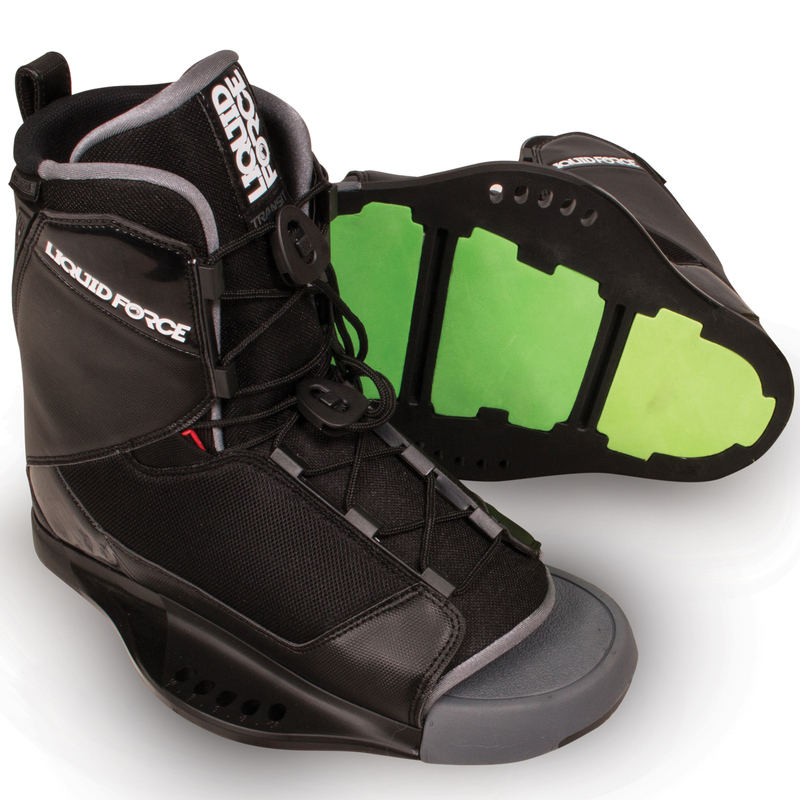 Loaded with performance features, the Transit Wakeboard Boot is easily customized to your perfect fit. Zonal lacing system allows lace tension to be different in upper and lower boot zones. Control liner includes 3D molded impact EVA footbed with deep heel cup and supportive arch underneath your foot. Also features IPX chassis bottom with variable dampening system for rider comfort. Sold as a pair. Transit Boot sizes: XS(4-6), S(5-8), M(8-10), L(10-12), XL(12-15). Stance options: 21" - 25"
Stance options: 22" - 26"
Stance options: 23" - 27"